This breakthrough will allow Trimph to progress towards registering TrimphDent and launching into global markets, which could provide significantly more affordable and accessible oral surgeries to rural and disadvantaged communities across the globe. Trimph has developed a platform technology for repair of bone, cartilage and connective tissue. The properties of this material can be tuned to treat a number of pathologies including osteoarthritis, bone defects and maxillofacial disorders. The company’s first product, TrimphDent, has been developed specifically for dental applications and aims to improve success rates and recovery of oral surgeries. TrimphDent provides an instant scaffold that helps the host bone tissue to preserve its volume and structure, as well as accelerates the healing process post tooth extraction. The intellectual property behind this breakthrough technology was developed at the University of Sydney. Patents have been granted in the US and EU, confirming the uniqueness of this technology worldwide. How exactly does TrimphDent work? “Unlike all other bone substitutes, TrimphDent is delivered as a liquid and uses body heat to form an elastic matrix that stabilises the clot and initiates the healing process,” said Dr. Ali Fathi, President and Co-founder of Trimph. “TrimphDent is unique as it requires no specialized preparation, socket packing or additional surgical expertise; it is simply injected into the cavity left by the extracted tooth where it supports the blood clot formed at the site and, over time, promotes bone growth throughout its matrix structure. “Because of how easily it can be applied, many more implant procedures can be performed in private and rural centres – lessening the encumbrance on major hospitals, significantly reducing the cost of the surgeries, halving recovery time, and preventing the need for invasive secondary procedures,” continued Dr. Fathi. “The rapid success of this pilot trial in just 18 months from incorporation is extremely rare for a class III medical device, and means we are well ahead of our original timeline to reaching the Australian and European markets. “This should give us time to develop additional applications for use in other surgeries involving bone matter,” concluded Dr. Fathi. The global dental bone graft substitutes market is projected to reach US$900 million by 2021, and socket preservation – the procedure which TrimphDent is transforming – is currently the largest application segment at 23.3 per cent of the global market. The technology behind TrimphDent can also be used to treat many additional pathologies, including osteoarthritis, bone defects, and traumas, and Trimph plans to expand the use of the technology to the US$3.2 billion orthopaedic market also. The intellectual property behind the bone glue technology has been granted patents in the US and EU, and since incorporation Trimph has secured more than $3.4 million from private and public sources, including $1.4 million from the AusIndustry’s Accelerating Commercialisation Program. Why is Cicada Innovations supporting Trimph? Commercialising this technology was assisted first by a Commercialisation Training Program run by deep technology “super incubator”, Cicada Innovations, on behalf of NSW Health. Trimph entered the incubator following this program, where Cicada aimed to transition Dr. Fathi from his PhD research position at the University of Sydney all the way through to global markets. 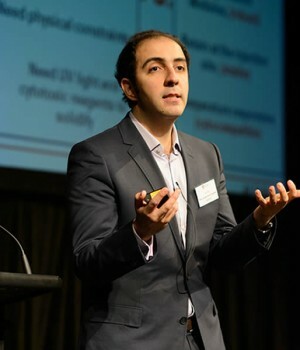 “The advanced, science-backed research produced by Dr. Fathi at Sydney University is exactly the type of research we are constantly looking to tap into here at Cicada Innovations,” said Petra Andrén, CEO of Cicada Innovations. 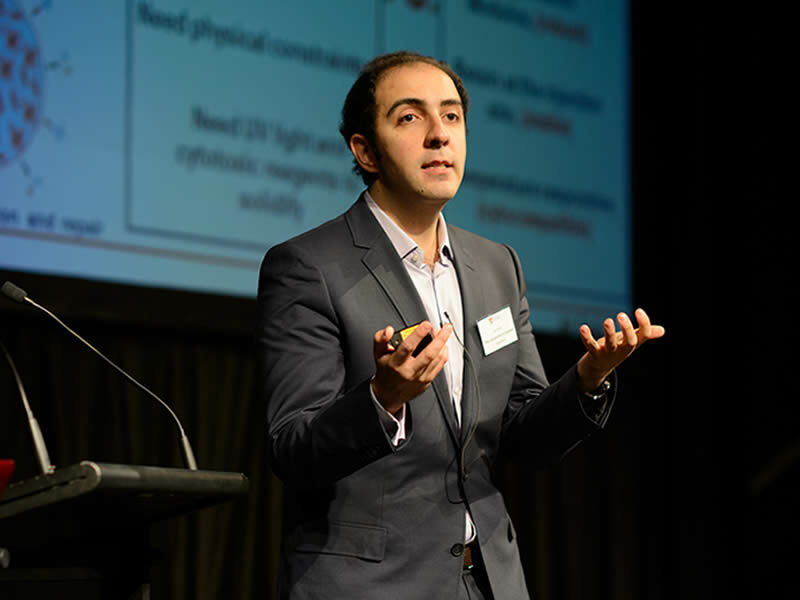 “Transforming outstanding researchers like Dr. Fathi into entrepreneurs helps us to transport their technology from a research laboratory bench-top, to a hospital bed-side. The speed at which Trimph has achieved such great results is testament to the breakthrough nature of their research, and we are excited to assist in bringing this technology to the millions of people around the world whose lives it could potentially transform,” concluded Petra Andrén. Founded in 2000 by four Australian universities – UTS, USYD, UNSW, and ANU – Cicada Innovations has unprecedented access to academic and international networks, deep technologists, and state and federal governments. As Australia’s only “super incubator” its over 70 start-ups and scale-ups are creating world-changing, highly proprietary offerings that sit in a completely different class to those being produced by the average Australian accelerator. Trimph will now continue additional patient studies in Perth and is establishing another trial in Sydney, and will be raising capital from both private and public sources in coming months.